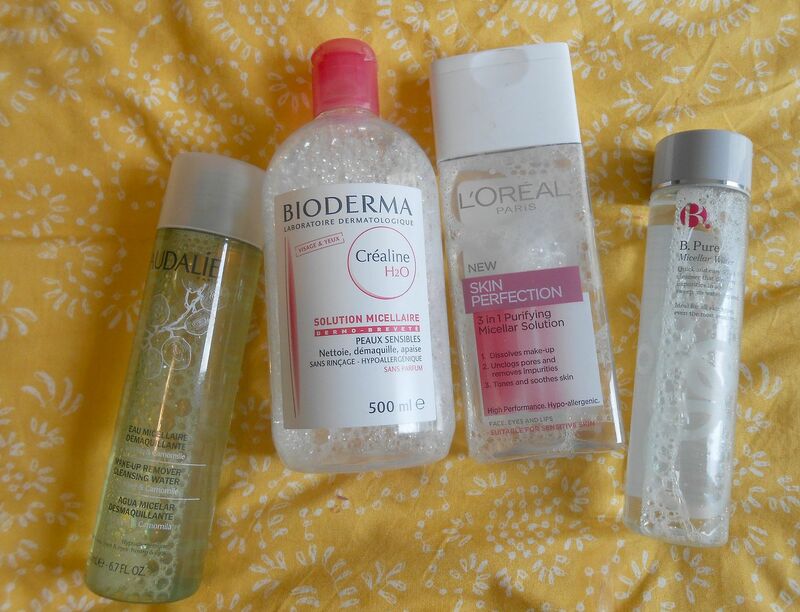 Micellar waters are definitely one of my favourite elements of skincare. Swiping off all my makeup in one easy go is so satisfying. After trying Bioderma over a year ago now, I’ve been hooked on these magical waters. Bioderma is still, in my opinion, the original and best of the waters! A big negative was that it wasn’t available in the UK, but now you can easily get it – huzzah! This one doesn’t have a smell, and is the best at getting everything off in one go. I almost always follow up with a cleanse afterwards, but if I don’t this leaves my skin feeling soft. Biggest win is that I can swipe over my eyes and it doesn’t sting at all, not even a little bit. The L’oreal skin perfection water is my second favourite. It does leave a bit of a ‘tack’ to my skin afterwards, and it stings my eyes if I rub too hard. It’s cheap, and I can get it from Savers for £2.99 – win! The Caudalie water is scented, and probably the most irritating to the skin. The scent is really fresh though, and I prefer this in the morning to wake me up a bit. I got this for free, and I don’t think I’d buy it again, but I’m happy to use it up. Caudalie skincare does not amaze me! Lastly is my least favourite, the B.pure water. Do not put this near your eyes, it will burn them and it will hurt! It doesn’t get off all of my makeup, and it hurts my eyes, so it a no-go in my books! Do you use Micellar waters? Which is your favourite?